A couple of weeks ago I explained why I was selling the Bontrager Race Lite wheels from my road bike and buying some hand-built wheels instead. After searching the web I found a highly-recommended wheel builder called Harry Rowland, based in Kent. The benefit of hand-built wheels is that you are asking an expert to assess your needs, pick the right components and build them using years of experience. That leads to better quality wheels that should stay true for longer than those assembled by machines or low-paid, semi-skilled factory workers in Malaysia. As suggested on his web site I gave him a call to discuss what I needed - basically a pair of (reasonably) light, reliable (and hopefully shiny!) wheels. Harry was very straightforward, really helpful, and - like many of the best tradespeople - persuaded me to spend less on the wheels that I'd budgeted for! 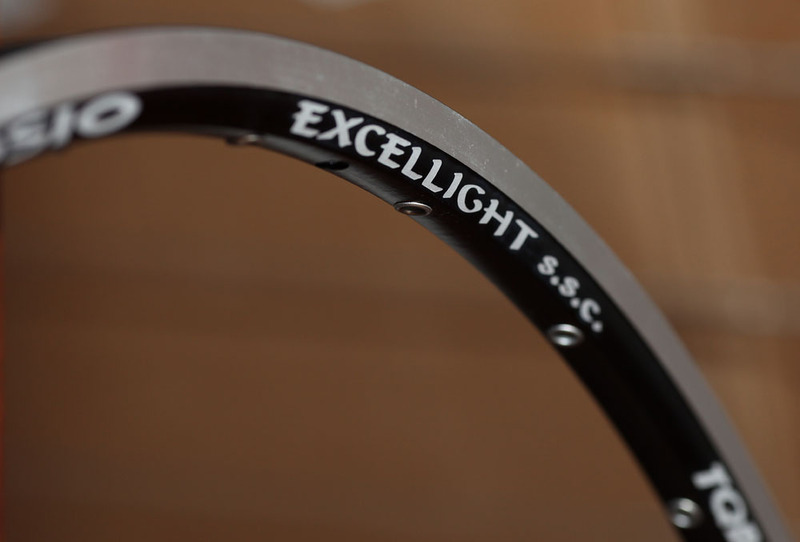 He recommended Ambrosio Excellight rims, matched to Ambrosio Zenith hubs and Sapim Race spokes (front 28 spokes, rear 32). Light, bomb proof, shiny and only £255 (+ £15 postage) for the pair! He was clear that spending more wouldn't buy better wheels. His web site also has some sensible recommendations on what he avoids, such as black spokes (wear quickly), uneven length spokes (hard to get spares) and unreliable brands. The wheels arrived, perfectly packaged and by courier, in just two days. On the road they feel 'zippier' up the hills and they seem to soften the ride a little. Those impressions may be psychological, but both are logical results of more spokes, allowing less rigid (and lighter) rims. 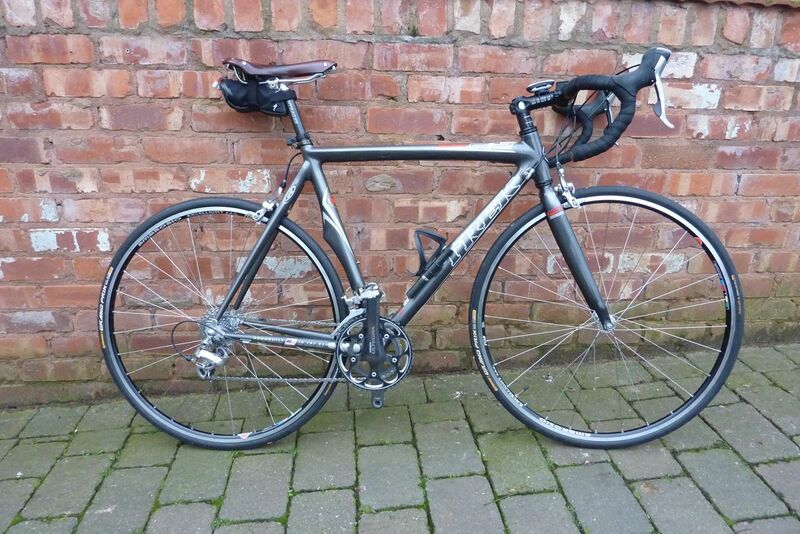 So a highly-recommended upgrade for the bike. And excellent service from Harry Rowland. And the original Bontrager Race Light wheels? I sold them on ebay for £125 (so the upgrade price was only £130) and the new owner is very happy with them too!